If you were going to wait 62 years to break a Premiership drought, one could argue there was no better way to do it than how the Bulldogs did in 2016. Just two years prior, crisis rocked the club, leading to the departure of both captain and coach. To finish seventh in 2016 - a position in which no other club had ever won the Premiership from - and win three consecutive finals as the underdog paints the Dog's flag as arguably the greatest Cinderella story in AFL history. Wind back the clock to another famous victory in 1954, where captain-coach Charlie Sutton and all-time legend Ted Whitten led Footscray to their first and only Premiership with a 51-demolition of Melbourne. 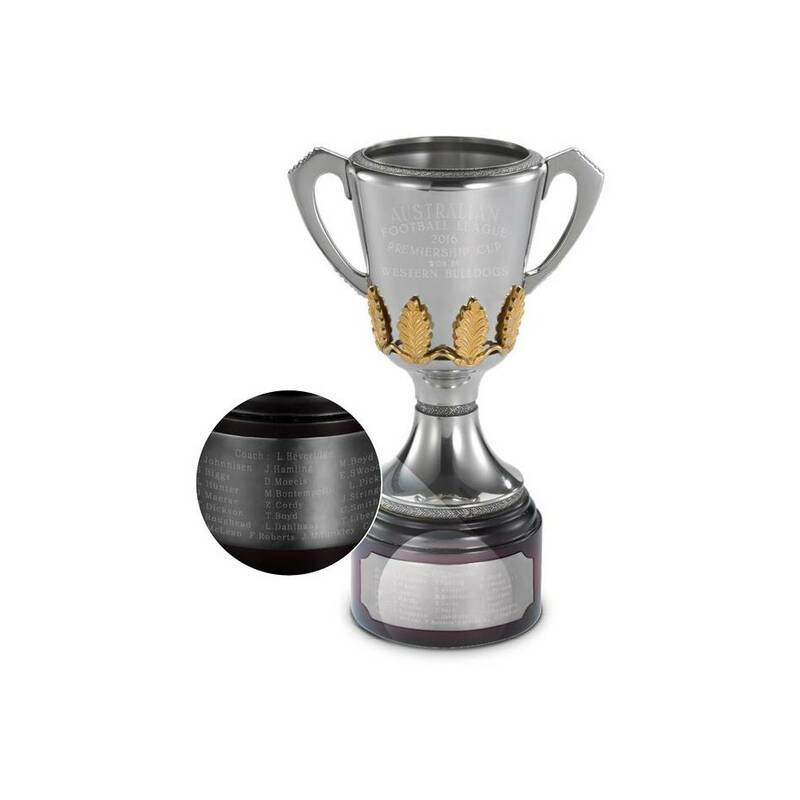 Commemorate the Western Bulldog's Premiership triumphs with a collectable pewter replica of unrivalled heritage and splendour. Each handcrafted Cup is composed predominantly of refined tin, with small proportions of antimony and copper added for strength and durability.